Guerlain's limited edition refillable compact powder Météorites Voyage Enchanté reduces shine and illuminates the skin. 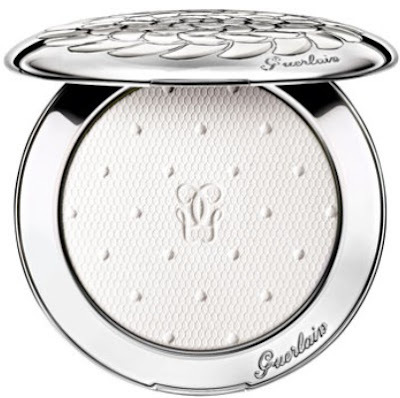 The compact dressed in the iconic Meteorites design opens to reveal a white powder beautifully adorned with a Swiss dot motif and instantly reduces the appearance of fine lines and blemishes. Application: The Météorites Voyage Enchanté powder can be applied over foundation or worn alone. Use Météorites Brush to apply evenly to the entire face to fix make-up and improve hold.